The “demise of total reward” and “total reward is dead” are among the attention-grabbing headlines seen in the benefits world of late. But is it revolution or evolution that is needed? Vicki Arnstein investigates. Reward has reached a “critical fork in the road juncture” and companies need to move away from total reward towards smart reward, said the paper The Future of Reward Management by Duncan Brown and Martha How from consultancy firm Aon. 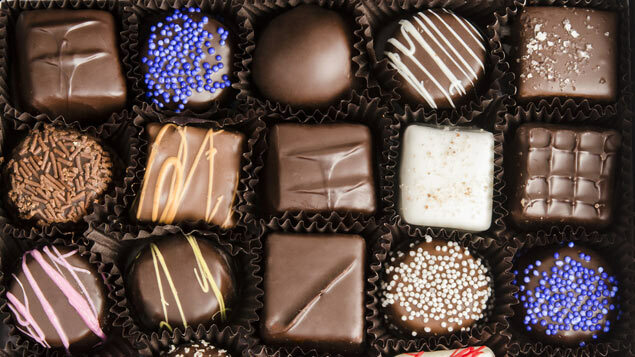 The paper argues that reward management needs to move away from generic total rewards strategies with a “chocolate box of flexible benefits”, to something the authors term “smart reward”. They argue that smart reward boils down to a strategy which is: simpler and clearer, with more flexible focus on a few core values; more evidence-based with clear measures of success; stronger in emphasis on engaging employees and meeting their needs with rewards; and more focused on communications and delivery. Despite backlash from some, How stands by the report and its ideas. She admits that “the demise of total reward” statement was meant to be grab people’s attention, but in reality, she says, the concept is much more about “evolution than revolution”. “We have tested our thinking with a number of organisations. Most of our clients have complete agreement with the philosophy. With all strategic thinking, the challenge is implementing it,” she explains. Under smart reward, How says the employer and the employee should share responsibility for financial and health wellbeing. “The old total reward model was much more a paternalistic, focusing on what the employer is providing. The new world is much more about dialogue, education, choice and the employee paying for some of it,” she adds. David Jones, senior manager, benefits EMEA at the benchmarking, content and analytics company McGraw Hill Financial, is one client that ascribes to How’s view. He agrees organisations need to review their thinking around employer benefits. “The changing workforce demographics and increasing turnover render static, risk-centric, one-size-fits-all models outmoded. The emphasis should change to more flexible, pre-emptive, lifestyle-oriented constructs enabled through technology,” he says. However, total reward as a concept still works well for many employers. CNH Industrial, a company which designs, produces and sells workplace vehicles and machinery, introduced a total reward strategy in 2013 for its 71,000 global employees. Robert Gerdes, vice president of compensation and benefits at the company, says the strategy in its current incarnation is working well. “The reward framework is having a positive impact on levels of employee engagement and employees now have a much more favourable view on the overall value of their reward package,” he says. He believes that, while the concept of total reward is relatively simple to state, much of the challenge lies in communication. Especially when it comes to valuing some elements of the employer benefits offering, such as flexible working arrangements. Mark Goodyer, head of reward for Sodexo UK and Ireland, is currently rolling out a total reward strategy. The company, which has recently launched a new “reward hub” and is also developing an employee portal, faces particular issues with communicating reward messages. Of its 35,000 UK employees, 27,000 are frontline staff at customer sites, such as cleaners and chefs, who do not have a Sodexo email address. Goodyer says the reward hub and employee portal will be the two cornerstones of the total reward strategy, allowing frontline staff to keep up-to-date via smart phones, tablets and home PCs. Getting good feedback is also essential – something highlighted in the How/Brown vision of smart reward. “They will allow us to communicate more freely on a day-to-day basis with our employees without having to go down the print route and will allow us to do some very quick spot surveys to gain and gauge feedback on Sodexo discounts and any future benefits we are looking to roll out,” he adds. Reward statements: here to stay? The total reward statement, a way of totting up and demonstrating the value of the total employment package to employees, is still thought to be a valuable tool, whether as part of total or smart reward. Matthew Gregson, consulting director at benefits software provider Thomsons Online Benefits, believes what is needed are better communication channels tailored to today’s multi-generational workforce. He said: “If you are doing an annual statement about what an employee’s bonus was, that is already irrelevant if you have just paid it. Employers could put a line on the statement and have items on there that don’t carry a £ sign. “Total reward is not just about benefits it is about every element of how you are supporting that employee’s life and giving them a better environment to work in. No-one is going to wake up and think ‘I want to log-in to my total reward statement’ and the reason is that there is no relevance and no call to action. One issue with smart reward for some is the heavy focus on financial employer benefits as part of the total reward strategy. For Gregson, a total reward strategy needs to link the company’s culture and its vision and values and how that is reflected in people’s reward. “There is a fundamental need for companies to say you get this reward because we believe in these things,” he says. What about the moniker “smart reward”? Is it necessary or is it just semantics? Whether it is called total reward, smart reward or even new reward, it seems benefits experts are standing behind the aims of total reward and still see a place for it, whatever the name. Vicki Arnstein is a business journalist specialising in HR and employee benefits.